We’ve tried and tested dozens of breathing exercises for sleep apnea to find the best of the best. Our experts, alongside sleep medicine specialists, have compiled this list of yoga for sleep apnea to help you rid yourself of your affliction. Each exercise on our list aids in the underlying causes of sleep apnea, such as being overweight and poor muscle tone in the throat and tongue. However, they also help resolve symptoms that arise from sleep apnea like anxiety, high blood pressure, and other cardiovascular issues. If you’re looking to give Pranayama yoga exercises for sleep apnea a go, we recommend starting with something simple like the Bhastrika Breathing Exercise and work your way from there. Bhastrika is an easy to follow breathing exercise you can do from the comfort of your own home. It tones and strengthens the muscles in your throat while keeping you in a calm, meditative state. With this exercise, you’ll be keeping the inhale/exhale cycle equal with quick and heavy breaths. Bhastrika is thought to release trapped toxins from the body by ancient yogis as well. Anyone can do Bhastria as often or as little as they like. As you complete each session, you will likely notice an increased lung capacity towards the end due to the opening of airways. The sleep meditation exercise ‘Clearing Your Mind’ was designed specifically to help you sleep better. In this two-stage exercise, you’ll learn to relax your mind and remove tension from your body. During the first portion of this sleep exercise, you’ll visualize and resolve all tasks of the day in your mind. After you’ve cleared your mind, you’ll move onto stage two where you can remove excess tension for a restful nights sleep. This breathing exercise for sleep apnea is best done in combination with other exercises that are designed to tone your muscles. Use this sleep meditation exercise directly before bedtime to achieve the best possible results. Afterward, keep your mind clear of outside distractions such as television or phone calls. The focus of Left Nostril Breathing is to calm your mind and soul while training your muscles to adapt to certain positions. Keep in mind, this breathing exercise can be somewhat intense for those just starting out. Left Nostril Breathing is performed in a sleep position. With each breath you take, there is a special meaning behind it. Because you’re laying down while doing this exercise it mimics how your body will be positioned when sleeping. As you breathe, you will be forcing collapsed passages to open. This exercise can be done several times a day to start. As your muscles begin to tone, you can increase it gradually up to 10 times a day. Continue reading to learn more about yoga breathing exercises for sleep apnea and which products are worth your time to try! 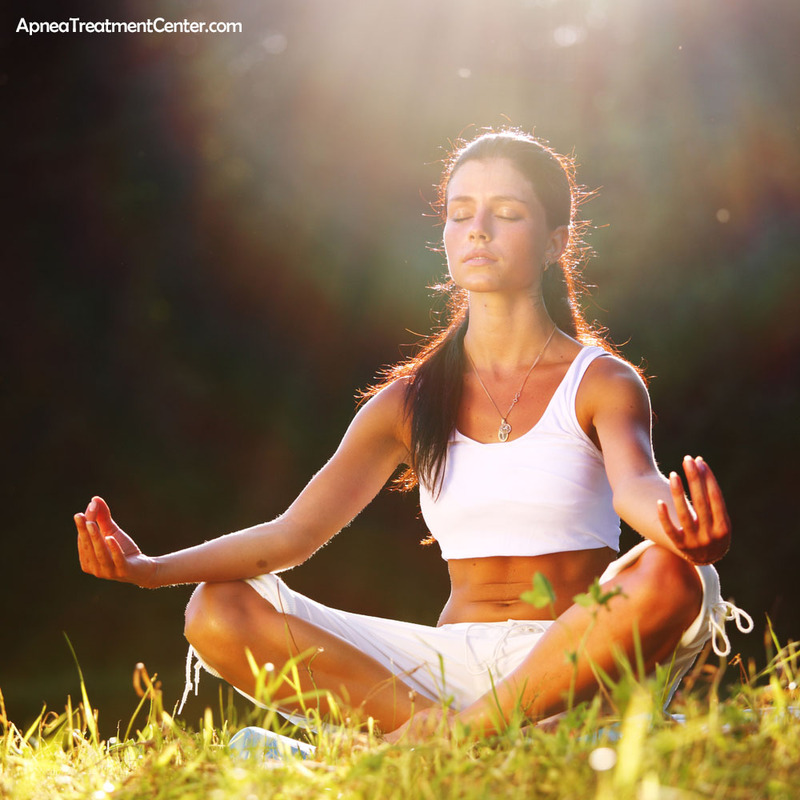 Why Yoga Breathing Exercises For Sleep Apnea? If you’re looking for a sleep apnea treatment that can also reduce stress and help you lose weight, you’re going to love yoga breathing exercises! As you practice yoga for sleep apnea, you’ll also improve your lung capacity and breathing muscles. Learning these breathing techniques to keep your nasal passages clear, your airway open, and your spine supple means you’ll have fewer sleep disruptions and better health overall. Therapeutic yoga has been proven to improve respiratory and cardiovascular function, reduce stress, improve sleep functions, and enhance your overall quality of life. During the 1970’s, George Harrison of the Beatles incorporated his love for yoga and Eastern spirituality into many of the band’s songs. Yoga is an ancient Hindu spiritual meditation practice that some believe dates back to 3300 BCE, during the Indus Valley Civilization. American’s who say they are yogis have nearly tripled in three years. Nearly 37 million people in the U.S. practice yoga regularly. Yoga isn’t just for women. In 2016, about 28% of people who practiced yoga were men. That’s a whopping 10.5 million American guys. Modern wellness practices use yoga as part of a cardio routine and as a therapy to alleviate many health disorders, including sleep apnea. To truly appreciate the benefits of yoga breathing exercises, it’s important to know exactly how your current breathing problems contribute to your sleep apnea. Most sufferers have obstructive sleep apnea (OSA), and that means the condition is manageable with a physician’s care and with alternative treatments like yoga. Most prescription drugs and sleeping devices (like CPAP and oral appliances) provide relief by artificially keeping your upper airway open. These treatments are intended to provide restful sleep, but they do not address the root cause of your sleep apnea: the collapse of your upper respiratory tract while asleep, or blockages in your nasal passages. This is how breathing exercises using yoga techniques are different: they address the underlying cause of the problem, by improving your breathing techniques and opening up your nasal passages. Several PubMed studies over the last decade have been done to test the beneficial effects of rehabilitation of the genioglossus muscle-the major muscle in your throat responsible for sticking out your tongue. Overall the studies have proven to be an effective way to alternatively treat patients who have trouble sticking to a CPAP machine or have had ineffective results from surgical procedures. Breathing exercises are particularly helpful because they treat the underlying problem. With breathing exercises for sleep apnea, you can increase the airways in your throat and prevent your tongue from sliding into a position that can block passageways. Obesity also contributes to sleep disorders. Sleep apnea can lead to high blood pressure, a stroke, and even a heart attack. As mentioned, one little-known way to reduce your occurrence of nighttime apneas is to practice the ancient Eastern art of yoga. Yoga is all the rage these days. Millions of people around the world are using yoga exercises to reduce stress, increase relaxation, and tone their bodies. If you picture in your mind the typical yoga student, sitting with legs folded, eyes closed, and hands resting on the knees, then you can see how relaxing it appears.But did you know that there are yoga breathing exercises that can help your sleep apnea? But there is hope! By following the yoga breathing exercises covered in this article, you’ll be well on your way to a stronger diaphragm and greater intake of oxygen into your body. The breathing techniques of yoga exercises for sleep apnea can lead to a vast improvement in your daily life by enhancing your quality and quantity of deep, restful sleep. The exercises in this article were written by an experienced yoga instructor specifically for sleep apnea sufferers. So go ahead and dive in! Are Yoga Exercises Beneficial for All Types of Sleep Apnea? Yoga breathing exercises are beneficial for the majority of sleep apnea sufferers. This is because most sufferers have obstructive sleep apnea (OSA). However, yoga breathing exercises will not help people with central sleep apnea (CSA), because CSA has an entirely different cause than OSA. The information provided here is geared towards people with OSA. These exercises will provide at least some relief for mild, moderate, and severe OSA. Several visualization techniques are used in yoga for breathing and relaxation well-being. One specific yoga breathing exercise is called Nidra, meaning sleep, which can significantly improve your quality of sleep. We fully understand that if you have OSA and arthritis problems, you may not be able to sit or lay in some of the basic yoga positions. But, you’ll be delighted to know that you can still benefit from these exercises even if you need to use a chair. The Johns Hopkins Arthritis Center encourages people with mobility problems to practice yoga. The win-win scenario for arthritis patients with OSA is increasing muscle strength, enhancing flexibility, improving respiratory capacity, and having better balance when standing and walking. How Do Yoga Breathing Exercises Reduce Sleep Apnea? Let’s be clear on one thing: yoga will probably not completely cure sleep apnea for most sufferers. However, for many sufferers, the breathing exercises will alleviate sleep disturbances. And there are many side benefits to doing the exercises. 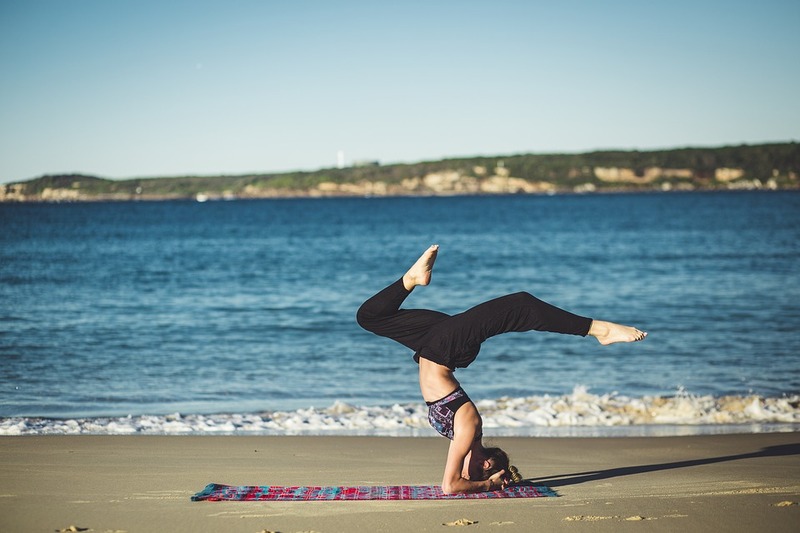 The good news is that if you practice yoga in conjunction with your doctor’s prescribed ongoing treatment, you’ll be able to help yourself in reducing your sleep apnea symptoms. Yoga is not a principle of no-pain, no-gain. It’s based on the peaceful coordination of the mind and body. A randomized clinical trial completed in 2009 found that breathing exercises could be advantageous for people who suffer from moderate OSA. It’s thought that yoga breathing exercises for sleep apnea can strengthen your throat muscles. In turn, these muscles will be less likely to collapse at night, significantly reducing the severity and number of occurrences of obstructive sleep apnea during the night. The clinical trial concluded that tongue and throat exercises are a promising alternative treatment for sleep apnea. The relaxation philosophy of yoga is one of the primary goals of this principle. But as you perform the breathing exercises you’ll gain more benefits than just learning to relax – you’ll also learn how to control the way that air enters and exits your airway. With yoga exercises, you’ll learn to relax, to position your body’s spine and diaphragm, and to position your head and neck for better breathing ability. Learning to breathe using only your diaphragm is like learning a well-kept secret – but a secret you’ll want to share! Besides opening up your nasal passages, learning to breathe through the nose lets you keep the nostrils clear. Breathing through your nose helps you breathe deeper, and that lets you inhale more fully, and that can reduce your episodes of sleep disturbance. Breathing with yoga is good. 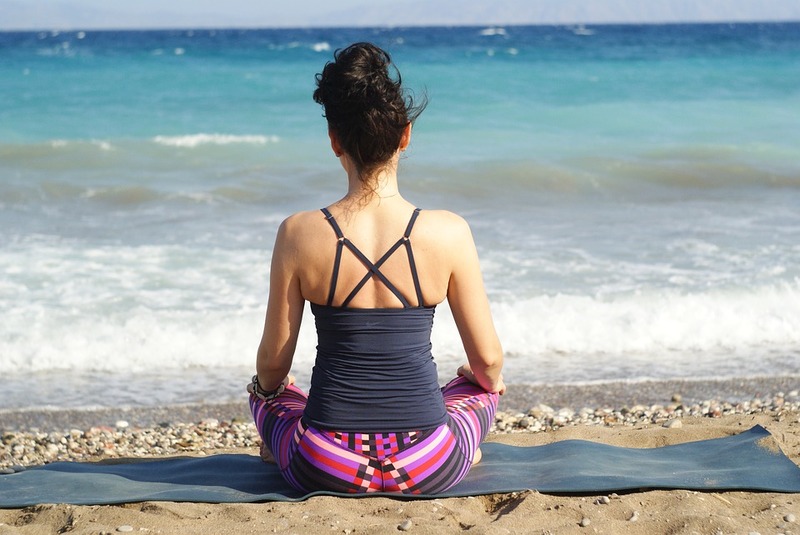 Because the techniques used in different yoga asanas (positions) are intended to reduce stress, they also are able to improve your quality of breathing. Better breathing control can reduce, or eliminate, various symptoms associated with sleep disorders, including sleep apnea. Are There Other Benefits from Yoga Breathing Exercises? Yoga for sleep apnea treatment is ideal for many reasons. Not only will you sleep better at night but your overall well-being can be improved as well. 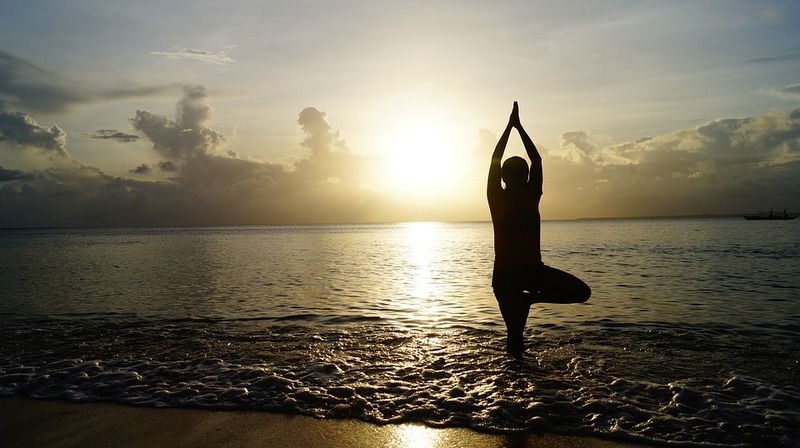 Take a look at some of the following ways yoga can take your health to the next level. 1. Reduced stress levels. Getting a good night of quality sleep will enhance your concentration, eliminate daytime sleepiness, and improve your overall frame of mind. 2. Weight loss. Combined with proper dietary control, yoga exercises can directly help with your weight management. While not all sleep apnea sufferers are overweight, the majority of diagnosed sufferers are overweight or obese. 3. Head and spine coordination. Learning the correct position for your head and spine while you sit, stand, and sleep will alleviate sleep disorders and improve your breathing capacity. You’ll love all the added energy you have when your body is able to get a good quantity of air! 4. Healthier heart and lungs. The American Heart Association advocates that when you learn to breathe better, you reduce your risk of heart and lung issues. To learn more about the health benefits yoga can have for you, watch this incredibly informative YouTube video. You’ll also learn tips and tricks on how to help you get started introducing yoga into your daily life. Depending on your personal lifestyle, you may also be able to reduce any problems you have with high blood pressure and improve your overall quality of life. Image how great that will be! Before you begin your journey of self-improvement and ridding yourself of sleep apnea through yoga breathing exercises, there are a few essential tools you’ll need. Of course, many of the following breathing exercises for yoga can be done without some (or all) of these tools. However, each tool on our list has a purpose. 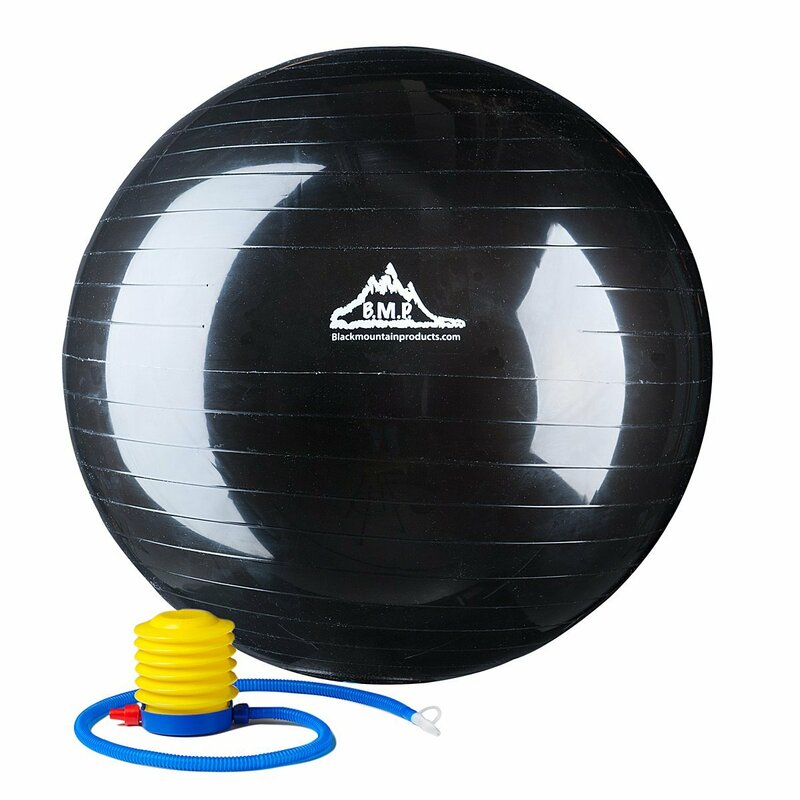 Some of this equipment will allow you to maintain the proper posture you need to perform each breathing exercise. Other items on our list can keep you calm and relaxed throughout meditation exercises which are vital if you want to achieve maximum results. For those that want to give yoga a go for the first time, we recommend the yoga starter kit from Sivan. It has a large ultra thick memory foam yoga mat, two yoga blocks, a yoga strap for increased extension as well as two towels for cleaning up after. When practicing yoga breathing exercises, you’ll be putting your body into positions that will be best for aligning your spine. This could mean stretching, bending, standing, kneeling, or simply maintaining a proper sitting position that can aid in sleep apnea breathing exercises. Having a yoga mat provides a barrier between you and an uncomfortable surface allowing you to fully relax. Most yoga mats are insulated and provide a non-slip surface throughout your session. 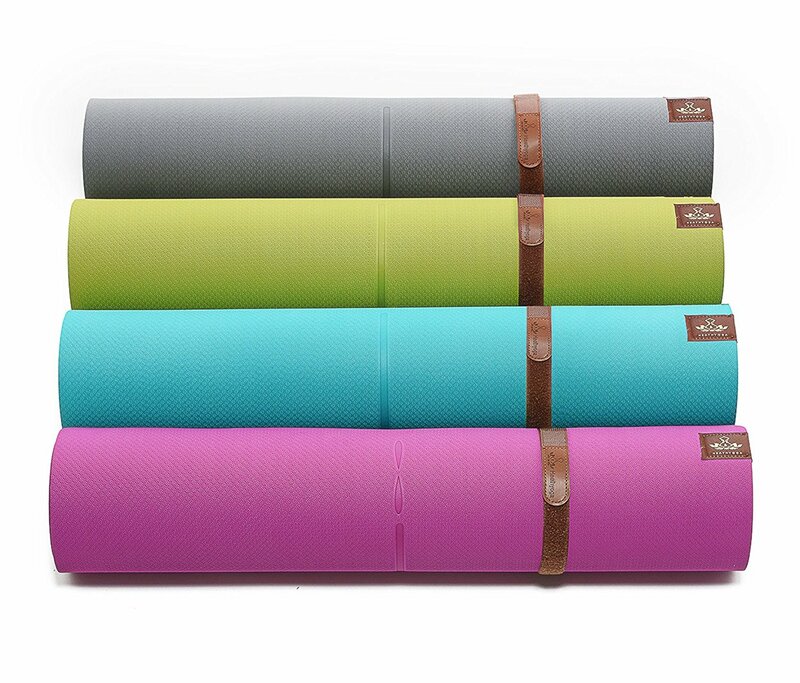 Most yoga mats are portable so you can take them on the go. Yoga breathing exercises for sleep apnea can be performed anywhere you feel calm and collected. Toss your yoga mat in the car and you’ll be ready for an impromptu breathing session the moment the mood strikes you. We like this eco-friendly version from Healthyoga. It’s got a textured non-slip surface that’s not going anywhere and is made from TPE material in a variety of fun colors. You won’t be breathing in toxic chemicals with this SGS Certified mat. We understand that many people who suffer from sleep apnea are also overweight. We’ve also chosen an extremely comfy alternative to those that would prefer a wider and thicker mat. To ensure you’re as comfortable and rested as possible, choose a mat that suits your body frame. 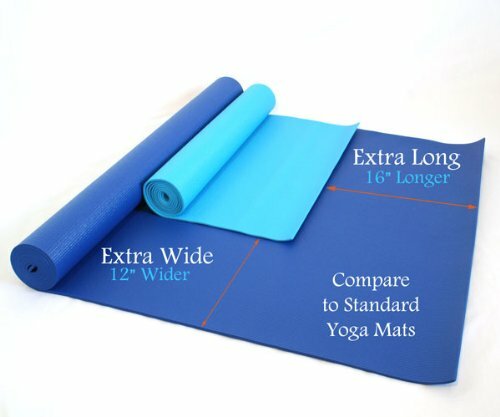 While most standard yoga mats are only 24 inches wide, this Extra-Wide Mat from RollingSandsHarmony gives you an added 12 inches of width. You’ll also benefit from extra length in this mat as well. Similar to a yoga mat, a meditation pillow will help you define your space. You should feel a sense of instant relaxation from the moment you sit on your meditation pillow. After a few yoga breathing sessions, your mind will begin to recognize this as a calming place. You may begin to feel conditional responses such as slowing of the nervous system. This can help you take slower, more meaningful breaths even before you begin your yoga for sleep apnea exercises. We feel a meditation pillow is an investment into your well-being. 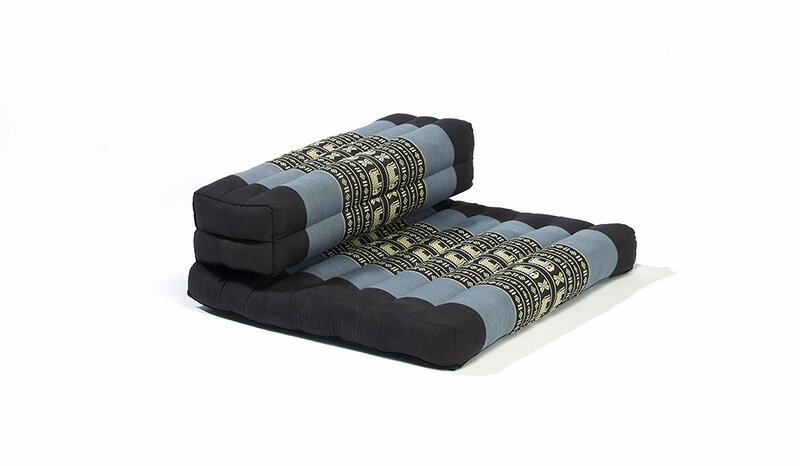 Our top pick for meditation pillows starts with this one designed especially for Pranayama exercises. My Zen Home has created an organic meditation pillow that is ideal for promoting a proper sitting position in which your spine remains straight throughout your exercises. 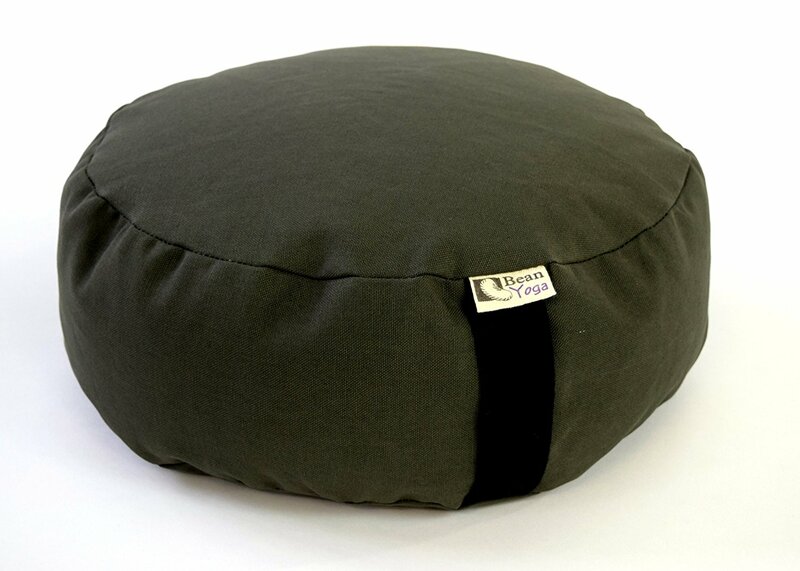 If you’d prefer a more traditional oval or round shaped pillow, you might want to consider this Zafu Yoga Meditation Pillow in Cotton or Hemp. It’s a more versatile alternative that you can use as you transition into more advanced Pranayama breathing exercises. Fragrances are more important for meditation than you might think. A particular scent can set the tone for your entire breathing exercises. You may find that certain smells, although you enjoy them, can have an adverse effect when it comes to yoga. The ideal smells will be ones that have a calming or relaxing scent as opposed to making you feel more energized. Certain essential oils are designed just for this purpose. Let’s take a look at a few essential oils, along with our favorites, that can help you reduce your sleep apnea in other ways as well. Not only does sage allow you to focus on cleansing and purifying your mind, it also aids in sleep apnea. Products like this Sage Essential Oil can be used to reduce overproduction of saliva as well. This essential oil is ideal for relieving chronic stress and anxiety. It is said that Frankincense also has the potential to reduce inflammation. Closely related to Frankincense, Myrth has anti-inflammatory properties. 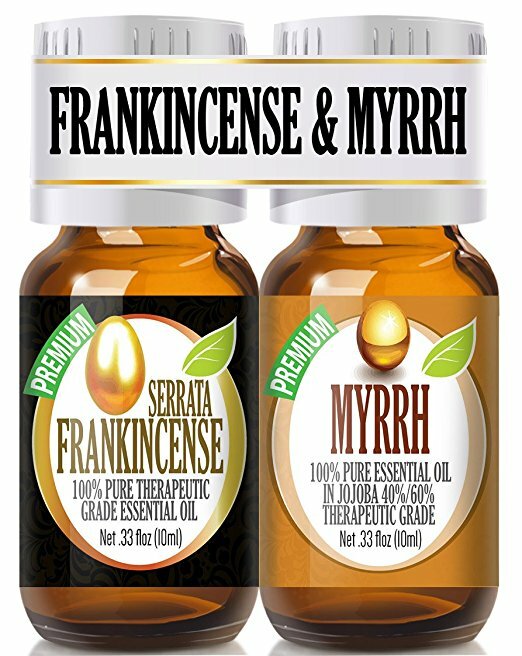 For this reason, these two oils are often combined, like in this Frankincense and Myrrh Meditation Oil Combo Pack. 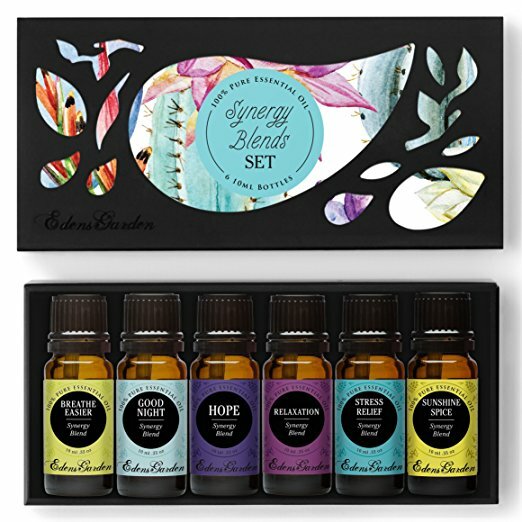 If you’re unsure about what scents will appeal to you the most, we recommend this fun sampler pack of Synergy Blends from Eden’s Garden. Each oil was hand picked for its abilities to relax your mind and help you breathe better. Yoga balls can help you maintain a proper posture by stabilizing the muscles surrounding your spine. You’ll be working your core muscles while reducing stress. It can be somewhat difficult to get used to a fitness ball. If you’re reading to take your yoga breathing exercises to the next level, you may want to consider taking some of the following tips to get you started. Find the right size. When sitting on a yoga ball, your knees should be at a right angle when your feet are flat on the ground. Use a slip-resistant mat. Using a yoga mat underneath your ball can prevent the ball from sliding out from underneath you. Start with the ball deflated slightly. When the ball is fully inflated it can be more difficult to maintain a good posture at first. Keep your feet wide apart. Your feet should be spread wider than your shoulders when using your yoga ball. Place the ball in a corner or next to a wall. This will allow you to have something to grab onto if needed. 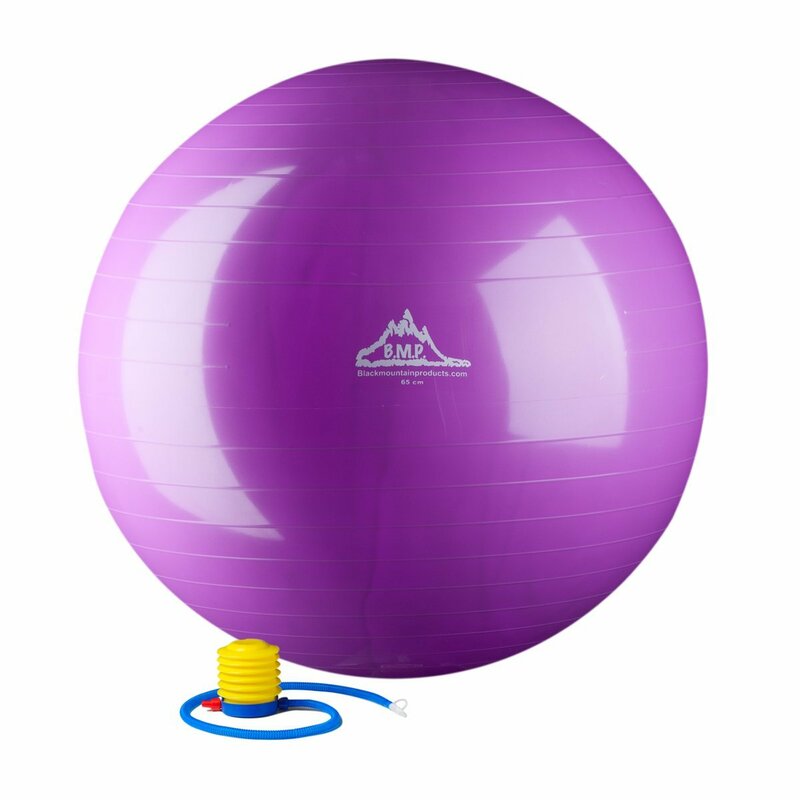 We like this professional grade Exercise Stability Ball. It comes in a wide range of sizes from 45cm to 85cm, making it ideal for just about anyone, no matter your height. Simply pump it to your desired fullness and you’re ready to start your sleep apnea breathing exercises. 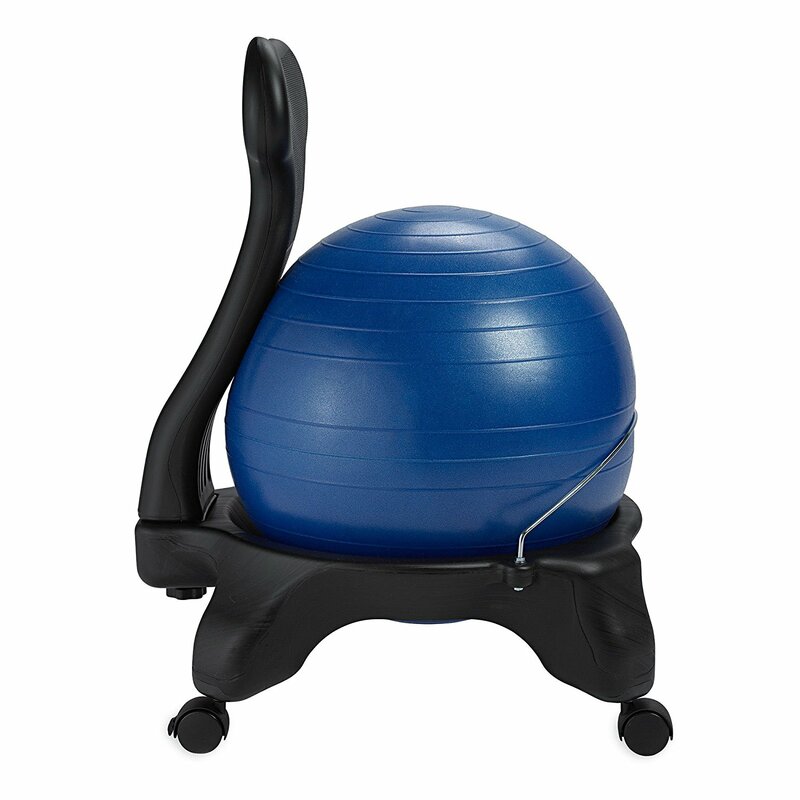 For those that want a little more stability, the Balance Ball Chair from Gaiam might be your best bet. This relaxing chair can also be used to replace your traditional office chair and makes a perfect ergonomic chair at any desk, thanks to the adjustable height. Listening to music or calming sounds while meditating or practicing your yoga breathing exercises is extremely important to your ritual. Gathering your yoga items and turning on music can set the stage for your body and mind. Tune out the sounds of the outside world so you can concentrate on making the most of your sleep apnea breathing exercises. Take a look at some other ways in which music can assist you on your journey below. Helps with relaxation. Soothing music can help yoga practitioners by creating a calm environment, while at the same time drowning out distracting background noise that may otherwise interrupt a peaceful session. Allows for greater focus. Focusing on meditative music, while practicing yoga, allows the practitioner to clear their head, and focus more on their stretching. Has healing properties. As noted in the following article by Psychology Today; music can have positive therapeutic properties with regards to physical and mental health. Playing uplifting music, during a yoga session, is a great way to relieve both physical, as well as mental, strains. Creates a holistic bond. Listening to Indian Classical Music, while practicing yoga, will focus both mind and body on the ancient techniques practiced by the first Yogis. The combination of the ancient art of Yoga, accompanied by contemporary music, will put the practitioner in the mindset of these long gone Yogis. 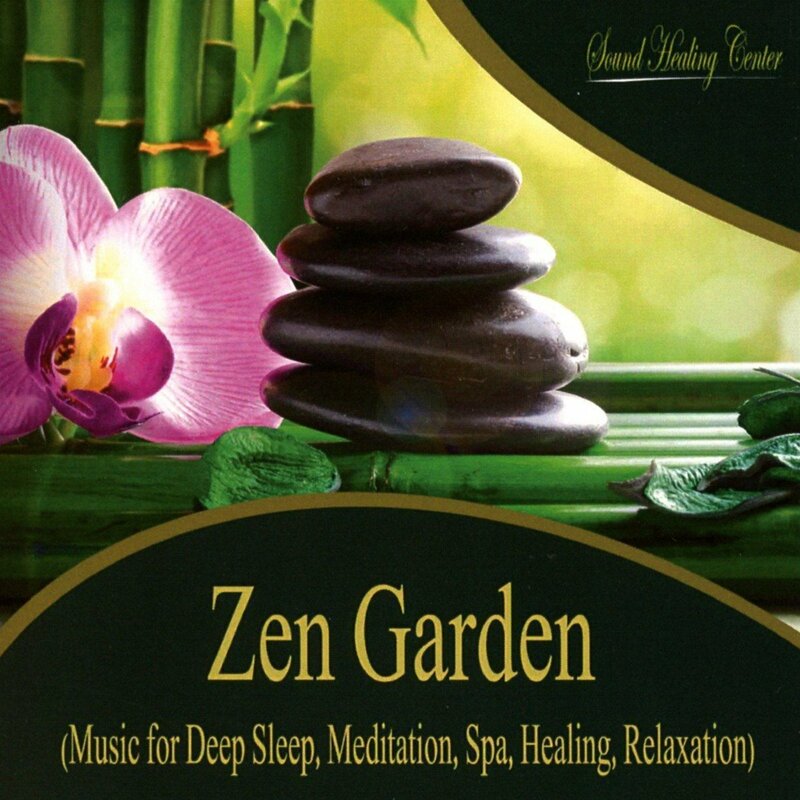 One of our favorite CD’s to listen to while practicing yoga breathing exercises is this one from Zen Garden. It promotes a deep sleep and relaxation and is ideal for yoga breathing exercises such as ‘The Power Nap.’ You’ll get over an hour of non-distracting sounds with no disruptive breaks. 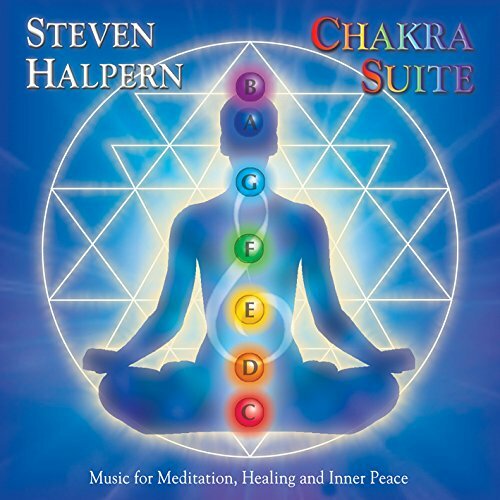 If you’d prefer something more ‘New Age’ you might want to think about this incredibly popular musical compilation entitled Chakra Suite by Steven Halpern. Steven uses 7 tones intended to balance the seven different Chakras. While listening to this compilation, you’ll feel soothed and peaceful with no interrupting musical surprises. When first starting yoga breathing exercises for sleep apnea, it can be fairly hard to understand exactly how your body should be placed. Watching a guide can take you through each exercise step-by-step. Exercise videos can be especially beneficial for those who need more of a visual aid to ensure you are doing each breathing exercise properly. Most videos will give you encouragement as well to keep going with your routine even when the exercises become more difficult. For beginners to the art of Pranayama, we recommend Pranayama for Self Healing which dives into the most basic breathing techniques. In between breathing exercises you’ll learn the purpose of each specific exercise. The Pranayama for Self Healing DVD contains the following breathing exercises. Once you’ve mastered the basics, and are ready to move on to something more advanced, you might benefit from Advanced Pranayama. Keep in mind, this DVD has some seriously intense exercises to be followed by exact instruction. If you’re looking to dive deeper into Pranayama techniques, this may be your best bet. For those looking to start Pranayama for sleep apnea, yoga blocks may be advantageous. Yoga blocks can help you find a better spinal alignment when flexibility just isn’t there yet. Your block can give you the support you need to your head and neck in lying positions. It can also help support and disperse your weight when you are in sitting positions. Using yoga blocks can allow you to hold certain poses longer and better as well. When you sit on your block you should notice your pelvis tips slightly forward. Use this to posture your advantage. This position will open airways and promote deeper breathing. Yoga blocks can be beneficial to both beginner and advanced yogis alike. Some advanced breathing exercises require yoga blocks to take your routine to the next level. 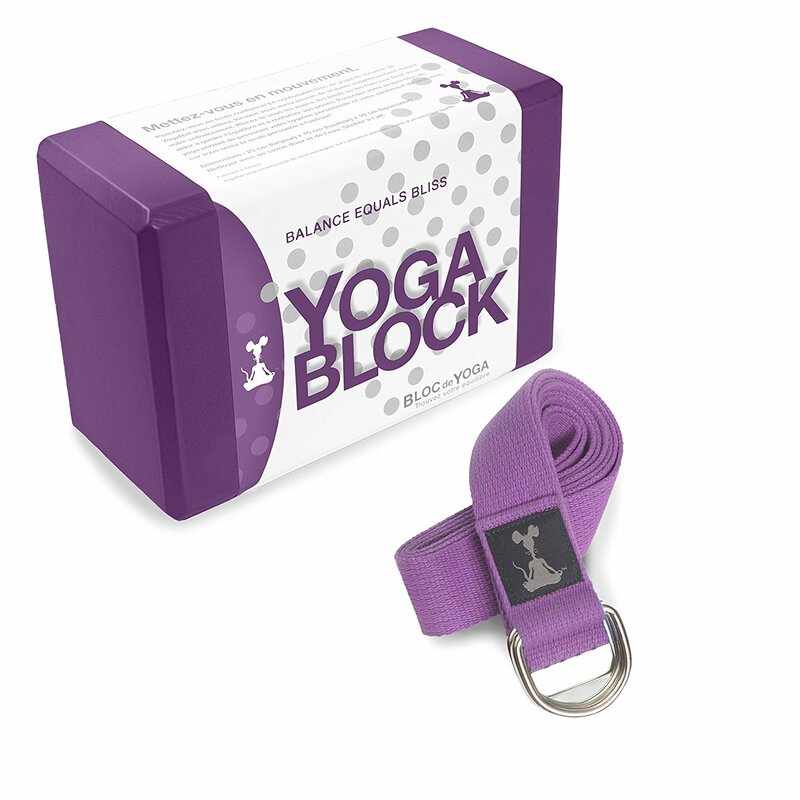 Our top pick for a lightweight travel-friendly option is the Yoga Block and Strap Set from YogaRat. We love that the block is closed cell and doesn’t absorb moisture. This block is perfect for sitting or lying positions. The strap is also 100% cotton and machine washable making it hygienic as well. With other sets, it seems like the strap is almost an afterthought. However, this strap is much longer than most allowing you to deepen your stretch. Those looking for a firm high-density yoga block might want to think about a cork option. 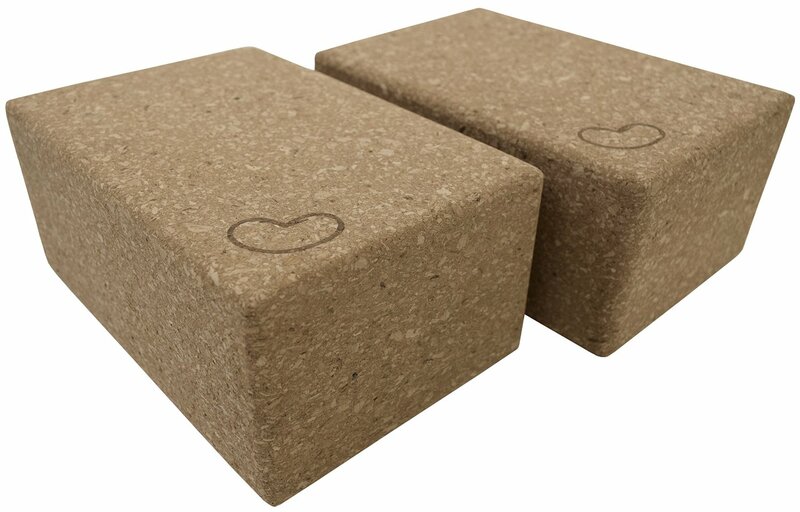 These Cork Yoga Blocks provide long lasting durability whether on-the-go or at home. 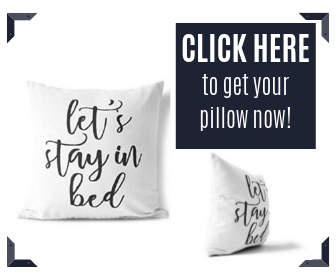 They come in a wide variety of sizes which are completely customizable to your needs. Are There Specific Yoga Breathing Exercises for Sleep Apnea? Yoga is a traditional method that consists of many physical, mental, and emotional workouts. Our everyday activities are stressful and make our minds restless. Ultimately, this can cause sleep disorders such as insomnia, restless sleep, and even snoring. People who are overweight or do not maintain a healthy lifestyle are especially prone to these sleep disorders. Sleep apnea is another sleep disorder, though not caused by stress but instead physical issues, in which Pranayama can be of help. Pranayama is one of the primary, basic workouts of yoga. Pranayama is a Sanskrit word meaning ‘lengthening of breath’, or more accurately, ‘extension of the life force’. So pranayama involves breathing exercises, and it has many health benefits. Pranayama includes many breathing exercises that help to improve the body’s chances to have a deep and restful sleep. 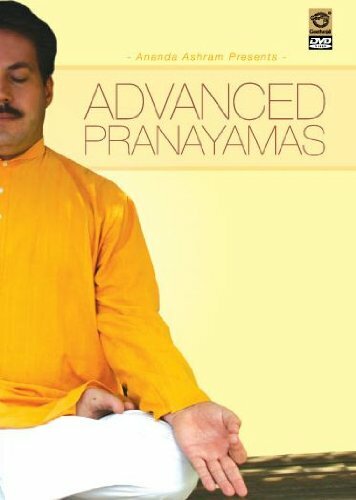 Practices pranayamas regularly, can allow you to have a sound and deep sleep. Pranayama breathing exercises do not only work to restore and maintain the body’s restful state, but also improve both physical and psychological health. If you are suffering from sleep apnea, this is a blessing on its own. Before starting Pranayama, it is very important to know the proper techniques to follow. It is wise to practice under the guidance of an expert instructor. Sometimes beginners feel dizziness after doing Pranayama exercises, but after some practice it will be easier, and the practitioner will enjoy the practice. After trying Pranayama a few times, most people begin to take comfort in its superior ability to “recharge” the body, thereby enabling an almost dreamy state of wellbeing and wonder. 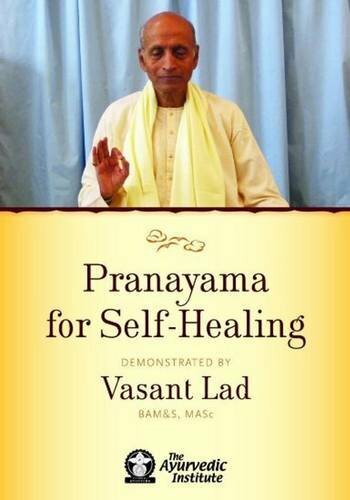 For those that want to understand what Pranayama is, it’s necessary to understand Prana. Prana is the Sanskrit word for “life”. A simple and anatomically connected meaning of Prana is derived from its 2 prefixes, “pra” = “prime’ and “A” = “all round”; and the root, “an” “to move”. Thus, this word indicates “the primary and all round motion of life energy”. In classical yogic text Prana is described as the energy of the Universe and as this energy saturates everything in the Universe, it is considered to be the breath of life. We wouldn’t be alive if we don’t breathe. However, breathing does not have to be done in one way only. We have direct control over how we breathe. Pranayama includes many kinds of breathing exercises that affect the body’s health and life force. If our bodily systems are not in balance, they automatically influence brain function, and this affects our mental health. The idea behind deep breathing exercises is to help your body function to the fullest. Using this controlled breathing technique you can help manipulate the way your body receives oxygen into the system. Ideally, you’ll be able to use this powerful yoga breathing exercise to combat your sleep apnea symptoms. Deep breathing is the perfect breathing exercise to get yourself started with Pranayama. It’s a simple technique that will ease you into the routine of practicing yoga for sleep apnea on a regular basis. When you first start practicing Pranayama, practice for five times a day but gradually increase it to ten times a session. Breathe normally and naturally. There is no time limit for practicing Pranayama. One can practice Pranayama at any place and at any time. 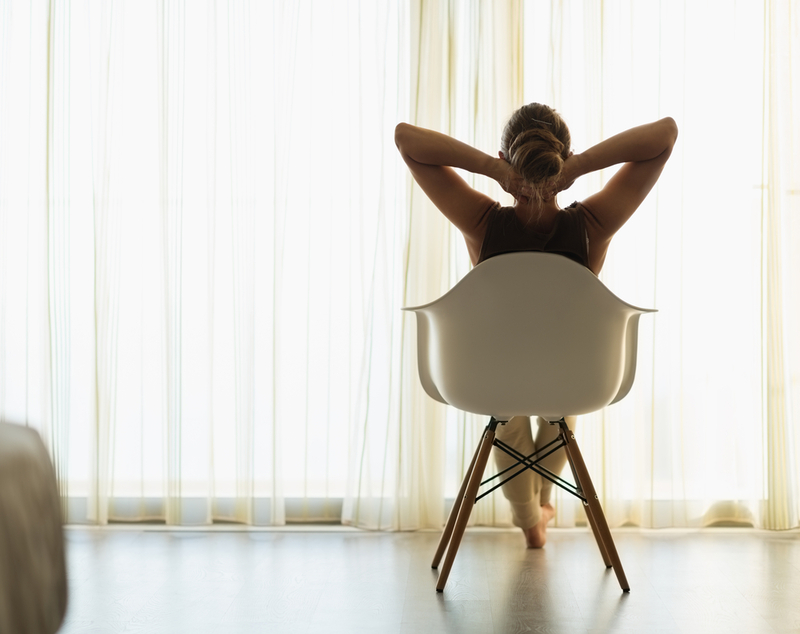 Once you’ve got your relaxing environment in place, you can begin to start your deep breathing exercises. 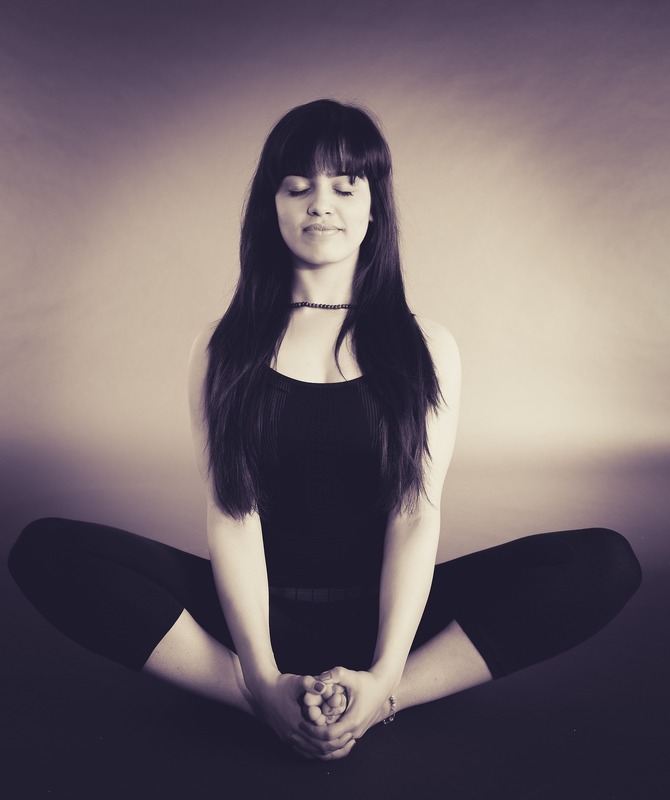 You can start by getting into a comfortable sitting position such as the diamond position (where you sit kneeling with both legs tucked beneath your body, keeping your spine straight) or lotus position (cross-legged on the floor with each foot placed on the opposite thigh, spine straight) directed for meditation. You will have to keep your body straight but without stressing any part of the body. You should stay very still. Put your hands on knees and keep your eyes closed with your head kept straight. Inhale deeply through both nostrils. Push your chest forward a little when the lungs are full. Retain the breath in the lungs for a while. Exhale slowly (slower than inhalation), but no air should be in the lungs. Do not inhale for a few moments. Yoga is a traditional method consisting of many physical, mental and emotional workouts. Pranayama is one of the most basic yoga workouts. ‘Pranayama’ /pra·na·ya·ma/ (prah″nah-yah´mah) is a Sanskrit word which means ‘lengthening of breath or prana’ or more accurately, ‘extension of the life force’. Pranayama increases awareness and control of the breath. Pranayama is one of the eight “limbs of yoga” that are defined by the Yoga Sutras of Patanjali (The Yoga Sūtras of Patañjali are 196 Indian sūtras (aphorisms) that constitute the foundational text of Rāja yoga). Pranayama acts as a vitalizing and regenerating force to increase oxygen exchange that can be used for physical healing. 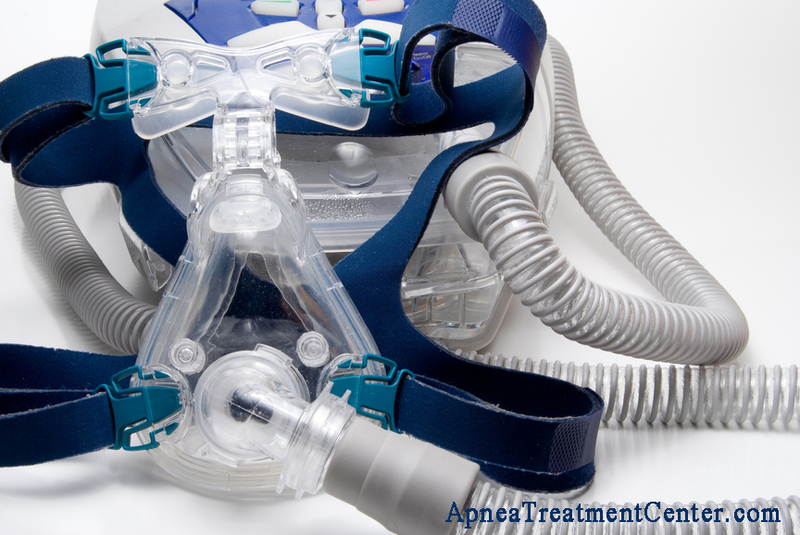 For sleep apnea patients, this can be very helpful. As Pranayama expands the capacity of your breathing, much like how singers can take deep breaths to hold longer notes, you will naturally begin to breathe in deeper when you sleep and thus increase the amount of oxygen that you take in. There is also a possibility that Pranayama can help make your breathing more regular, and reduce the number of breathing pauses you experience if you are a sleep apnea sufferer. According to yogic belief, an unhealthy and imbalanced body is entirely responsible for emotional pressure, stress, tension and anxiety. Breathing directly affects our mental states. Pranayamas or breathing exercises help us to control our mental stability and concentration, and enable us to feel calm, relaxed and refreshed. Pranayama also re-energizes the brain cells and rejuvenates us. The word kapalbhati is made up of two words, kapal meaning skull (here skull includes all the organs under the skull too) and bhati meaning shining, illuminating. A breathing technique where breathing is done forcibly through the nose, with equal time for inhalation and exhalation. (pronounced bah-STREE-kah): Bhastrika Pranayama is aimed at keeping the inhalation cycle equal to exhalation, yet making the breaths deeper and longer. A deep breath inwards and long exhalation outwards with equal time intervals constitutes this pranayama technique. The nadi (literally “river”, it means tube or pipe) of the body are the channels through which, in traditional Indian medicine and spiritual science, the energies of the subtle body are said to flow. Below we’ll take a closer look at some specific Pranayama yoga breathing exercises for sleep apnea and how to do them. But first, let’s dive into how you can get the most out of your breathing exercises. There are several things you can do to make the most out of your Pranayama exercises. Following certain yoga principles can create an image in your mind’s eye allowing your body to fully relax and focus on the technique. Undertake an easy and comfortable sitting position (such as the basic lotus position). Don’t practice directly after a meal. Avoid practicing when you’re in a hurry. Avoid certain positions, such as the pigeon pose (where the practitioner lies with one leg in front, and the other leg stretched out fully at the back, with their chest puffed forward, like a pigeon). This breathing technique, called the Bhastrika, got its name from the fact that the act of breathing resembles the action of bellows, which pull in air to expand and release a strong blast of air when pressed together. Thus this exercise involves inhaling and exhaling quickly and heavily. This exercise involves inhaling and exhaling quickly and heavily to help eliminate free toxins trapped in the body. The Bhastrika exercise helps to free toxins trapped in the body. People who have asthma and tuberculosis can benefit by practicing this technique regularly. It also helps the practitioner to stay calm and sleep well. This breathing exercise for sleep apnea can be done as little or often as you like. The more you do it, the more you’ll notice your lungs filling with more air due to toned throat muscles. Always ensure you have a relaxing environment before beginning any Pranayama exercises. Doing so will allow you to get the most out of your new breathing techniques. For practicing Bhastrika, sit in a meditation pose and put your hands palm-down on your knees. 1. Begin by relaxing your shoulders and take a few deep, full breaths from your abdomen. 2. Now start exhaling forcefully through your nose, followed by forceful, deep inhalations at the rate of one second per cycle. Your breathing is entirely from your diaphragm, keeping your head, neck, shoulders, and chest relatively still while your belly moves in and out. This technique helps to make the mind calm and stable, and can also help to flush out worries and negative thoughts. People who have sleep apnea can benefit a lot by practicing Kapalbhati regularly. Many people use this powerful breathing exercise for weight loss as well which makes this a double threat to your sleep apnea symptoms. Sleep apnea and being overweight go hand in hand for about 50 percent of people with OSA. Shedding as little as 10% of your body weight can result in lowered occurrences of sleep apneas. On top of that, Kapalbhati breathing exercises force air passages to open and can have the potential to train them to stay open over time. Once you’ve created a calm, welcoming space for yourself you may begin. Remember, never start any Pranayama exercises when you are stressed or pressed for time. To practice this breathing exercise, beginners should complete ten rounds of breathing in and out. You should gradually increase it to 30-50 rounds over time as you feel comfortable doing so. 1. Sit in a meditative pose (such as the lotus position) and close your eyes. 2. ​Put your hands palm-down on your knees. ​3. Inhale and exhale quickly. 4. ​Exhale air forcefully but don’t inhale with pressure. 5. ​Inhaling should be an afterthought. It will happen naturally as the body relaxes the abdominal muscles. 6. ​At the end of the practice, inhale deeply and exhale slowly. Rest for a while. To learn more about the benefits of Kapalbhati as well as specific techniques are performed in this breathing exercise for yoga, check out the short YouTube video below. Nadi Shodhana breathing exercises are often known as Alternate Nostril Breathing. A lack of energy and a low immune system can be aided with the techniques of Nadi Shodhana. The name derives from the ancient Sanskrit words “Nadi”, which means flow, and “Shodhana”, which means purification. The goal of Nadi Shodhana is to purify your body through ritualized breathing techniques. This is an especially useful technique for anyone who suffers from respiratory problems such as; allergies, apnea, or re-occurring sinus infections. These breathing exercises have also been shown to help control apnea by; introducing more oxygen into the respiratory system, reducing stress and anxiety which affect your sleep, and an overall strengthening of the respiratory system. Try this breathing technique for 10-15 minutes, one hour before you go to bed for maximum results. After you’ve ensured you’ll have an uninterrupted, relaxing environment, you will be ready to begin. 1. Sit comfortably with your spine erect and shoulders relaxed. Keep a gentle smile on your face. 2. ​Place your left hand on the left knee, palms open to the sky or in Chin Mudra (thumb and index finger gently touching at the tips). 3. ​Place the tip of the index finger and middle finger of the right hand in between the eyebrows, the ring finger and little finger on the left nostril, and the thumb on the right nostril. We will use the ring finger and little finger to open or close the left nostril and thumb for the right nostril. 5. ​Now breathe in from the left nostril and then press the left nostril gently with the ring finger and little finger. Removing the right thumb from the right nostril, breathe out from the right. 6.​Breathe in from the right nostril and exhale from the left. You have now completed one round of Nadi Shodhana pranayama. Continue inhaling and exhaling from alternate nostrils. 7.​ Complete 9 such rounds by alternately breathing through both the nostrils. After every exhalation, remember to breathe in from the same nostril from which you exhaled. Keep your eyes closed throughout and continue taking long, deep, smooth breaths without any force or effort. Watch this short YouTube video to fully understand how alternate nostril breathing can be beneficial for your sleep apnea. This breathing exercise series is divided into stages 1 to 10. Stages 1-4 are done lying down and Stages 5-10 are done while sitting. For the purpose of this course, we will only be learning up to stage 8. The last two stages involve the use of Khumbaka (Kumbhaka forms the basis of deepest breathing exercises required to regulate the activities of mind and increase the concentration) and should only be practiced under the guidance of an experienced teacher. Following this step-by-step 8 stage work can help you improve sleep, manage stress, and shed pounds. You’ll essentially be training your mind and body to respond differently to certain situations such as sleep. With the help of these breathing exercises, you could be well on your way to a better quality and quantity of sleep. This stage trains you in the art of being aware of sensations in the lungs; it leads to even breathing. The goals of this stage are to make the practitioner attentive, to invigorate the nerves, to loosen up the movement of the lungs, and to prepare the lung for deep breathing. It’s important to create a relaxing, stress-free space for yourself before beginning any Pranayama techniques. Having a peaceful environment is essential to getting the desired results. 1. Lie down, in any position that keeps the body in a straight line. Do not cave in the rib cage. Close the eyes without tensing the eyeballs, keeping them passive and receptive, and direct the gaze inwards. Keep the inner ears alert and receptive. 2. ​Breathe normally. Consciously observe and feel the flow of breath throughout the body. 3. As you breathe in, make sure that both lungs fill evenly. Feel the chest expand upwards and outwards. Synchronize the two movements. 4. Breathe out quietly, emptying the lungs evenly on both sides. 5. Continue this way for about 10 minutes. This stage trains one to lengthen the duration of each exhaled breath and to learn the art of exhalation. The emphasis here is on slow, deep and steady exhalations. The effects of this stage are to soothe the nerves and calm the brain. When practising certain Pranayama breathing exercises, it’s absolutely essential that you won’t be disturbed or bothered during that time. Not only can it break your concentration, but it can allow your brain to start associating that area with distractions. 1. Lie down, In a yoga pose that keeps the body in a straight line. Do not cave in the rib cage. Close the eyes without tensing the eyeballs, keeping them passive and receptive, and direct the gaze inwards. Keep the inner ears alert and receptive. 2. First, exhale quietly until the lungs feel empty, but without placing pressure upon the abdominal organs. 3. Inhale normally through the nose. 4. Exhale slowly, deeply and steadily until the lungs feel empty. 5. Continue for ten minutes then relax. This preparatory stage trains one to lengthen the duration of each inhalation and to learn the art of inhalation. The emphasis here is on slow, deep and steady inhalations. The effects of this stage: the nervous system is invigorated and confidence is instilled. This practice is good for those suffering from low blood pressure, asthma, and depression. Creating an environment where you can fully give into your breathing exercises without interruption is vital for performing Pranayama exercises. Choose a calm, quite place where you can clear your mind. 1. Lie down in any posture that keeps your spine straight, then exhale quietly until the lungs feel empty, but without putting too much pressure upon the abdominal organs. 2. Relax the diaphragm and stretch it sideways while you breathe in, without inflating the abdomen. Do not allow the diaphragm to roll or to move the floating ribs. 3. Inhale slowly, deeply and steadily through the nose and make sure that both lungs fill evenly. Listen to the sound and maintain its rhythm. 4. Fill the lungs completely till the sound of inhalation becomes inaudible. Consciously draw the eyeballs down and gaze into the lungs. 5. At the start of the exhalation immobilize the diaphragm, then breathe out slowly but not deeply. Notice that exhalation will take slightly longer than normal. 6. Continue in the same way for ten minutes, and then relax. This preparatory stage trains you to prolong the length of each inhalation and exhalation. The effects of this stage are increased energy and calmed nerves. Always try to make sure you’ve got the most restful area ready before attempting any yoga breathing exercises for sleep apnea. Remember not to practice Pranayama on a full stomach or directly before mealtime. 1. 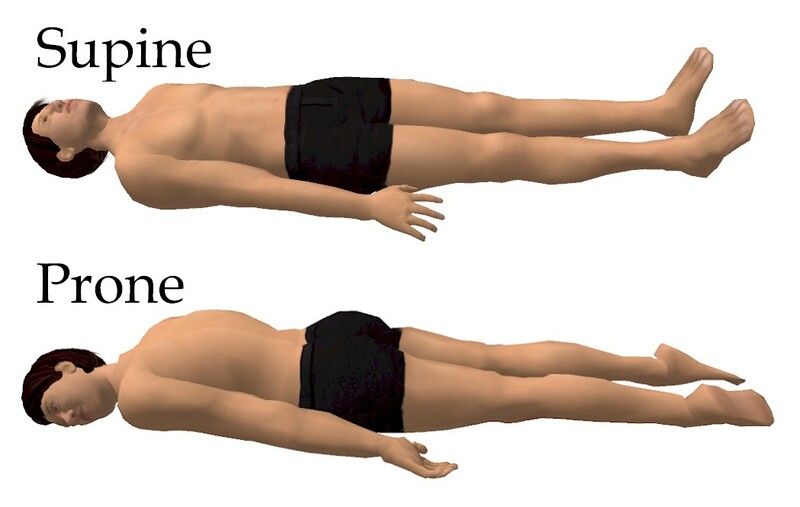 Lie down as describes in Stage 1 step 1, then exhale quietly until the lungs feel empty, but without placing pressure upon the abdominal organs. 2. Now breathe in, relaxing the diaphragm and stretching it sideways without inflating the abdomen. Do not allow the diaphragm to roll or to move to the floating ribs. 4. Fill the lungs completely until the sound of inhalation becomes inaudible. 5. Grip the diaphragm and release it gradually, exhaling slowly, deeply and steadily until the lungs feel empty. 6. This completes one cycle. Repeat such cycles for 10 to 15 minutes, then relax. The breathing here is similar to that of Stage I but is done while sitting. It trains one in the art of observation and leads to even breathing. After you’ve created a warm, welcoming space for yourself you may begin. Try to find an area free of people and pets to limit distractions. Otherwise, your mind will begin to associate the space and surrounding items with negative thoughts instead of relaxing ones. 1. Sit in a comfortable sitting position, keeping the back and the spinal column firm and straight, but the spinal muscles soft and mobile so that they can expand and contract with the flow of your breathing. Lower the head towards the trunk and lift up the inner frame of the chest towards the descending chin. Rest the chin in the notch just above the breastbone. This is the chin lock jalandhara bandha (Jāla: means web or “net” and dhara means “holding”. Bandha means “bond; contracting”). Keep the arms down and rest the back of the wrists on the knees. Join the tip of the index finger of each hand with the tip of the thumb and keep the other fingers extended. Close the eyes and direct the gaze inwards. Keep the inner ears alert and receptive. 2. First exhale quietly as deeply as possible, without placing pressure upon the abdominal organs. 3. Breathe normally. Consciously observe and feel the flow of breath throughout. 4. As you breathe in, make sure that both lungs fill evenly. Feel the chest expand upwards and outwards. Synchronize the two movements. 5. Breathe out quietly, emptying the lungs evenly on both sides. 6. Continue this way for about 10 minutes. Like Stage 2, this stage trains one to lengthen the duration of each exhalation and to learn the art of exhalation. The emphasis here is on slow, deep, and steady exhalations. Choose an area of your home that brings happy thoughts to mind. You should always attempt to practice Pranayama in places where you can fully be present without the distractions of the outside world, such as cell phones. 2. Exhale whatever breath is in the lungs. 5. Maintain the posture while exhaling and listen carefully to the sound of the breath, keeping the rhythm and smoothness throughout. 6. This completes one cycle. Repeat such cycles for ten minutes, inhale, and then rest in Savasana (the name comes from the Sanskrit words Shava meaning “corpse”, and Asana meaning “posture” or “seat”). Basically, rest as in Stage 1 step 1. This stage trains one to lengthen the duration of each inhalation and to learn the art of inhalation, while keeping your mind calm and relaxed. Ensure the area in which you plan to do your breathing exercises for yoga is one that you enjoy being in. Limit your distractions before beginning these techniques and remember to never do Pranayama when stressed or rushed. 2. Take a slow, deep in-breath carefully through the nose and make sure that both lungs fill evenly. Listen to the sound and maintain its rhythm. 3. Fill the lungs completely till the sound of inhalation becomes inaudible. Consciously draw the eyeballs down and gaze into the lungs. 4. At the start of the exhalation immobilize the diaphragm, then breathe out slowly but not deeply. Here the out-breath will be slightly longer than normal. 5. This completes one cycle. Repeat such cycles for ten minutes, inhale and then rest in Savasana. This is the stage of Ujjayi pranayama proper, with deep in and out breaths. This pranayama aerates the lungs, soothes and tones the nervous system, and as a result of the deep respiratory action, the blood carries the supply of life-giving energy to the smallest part of the tissues. It reduces phlegm, relieves pain in the chest, and the voice becomes melodious. Always complete your Pranayama breathing exercises in a calm, soothing space. Your mind should associate the environment with being relaxed and welcomed. 2. Exhale whatever breath is in the lungs and take a slow, deep, steady in-breath through the nose. 3. Listen to the sound of the breath. Control, adjust and synchronize its flow, tone, and rhythm. The flow is controlled by the resonance of the sound, and the tone by the flow. 4. Fill the lungs from the bottom to the top, right up to the collar bones. Consciously try to channel the breath to the remotest part of the lungs. Be continuously aware of the inflow of breath. 5. As you breathe in, your body, lungs, brain and consciousness should be receptive rather than active. Do not breathe in too forcefully. 6. Do not inflate the abdomen as you inhale. Keep the diaphragm below the ribs throughout. The breathing movements are made by drawing the entire abdominal area from the pubis to the breastbone towards the spine, and then up towards the head. This automatically massages the internal organs. 7. In deep inhalation, the inner intercostal muscles at the front are lifted up. Just before exhalation, there is a further lift of these muscles, which prepares one for breathing out. 8. Now begin the process of exhalation. Maintain the lift of the intercostal muscles along with that of the diaphragm and start exhalation. Allow the breath to go out slowly, deeply and steadily. After a few seconds, the grip of the trunk relaxes by itself gradually, until the lungs have been passively emptied. Maintain a continuous awareness during exhalation. 9. This completes one cycle. Repeat for 10-15 minutes, keeping the eyes closed and the limbs relaxed. Inhale and then lie down and rest in Savasana. There are numerous sleep apnea breathing exercises that can be done depending on your level of expertise. Some focus on opening your airways before bed and others strengthen your muscles so they won’t collapse at night causing restricted passageways. Yoga breathing exercises for sleep apnea also aid in weight loss which can significantly reduce the number of occurrences of sleep apneas you have each night. Let’s take a look at just several breathing exercises for sleep apnea you can do right from the comfort of your own home. Ujjayi Pranayama is a specific yoga exercise that you can do at home. All you need is a quiet spot to sit in, and a few minutes of alone time. Ujjayi Pranayama translates to “Victorious Breath”, and it’s one of the best yoga breathing exercises for sleep apnea. Daily practice of this technique, an hour or so before bedtime, will help you to get your apnea under control. 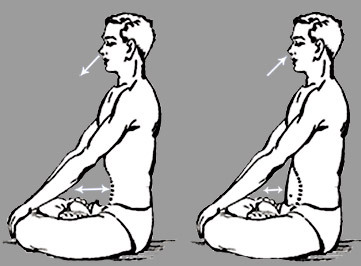 The goal of Ujjayi Pranayama is to get your breathing in sync with your body’s movements. Doing so will help to strengthen your respiratory system, and help you to breath better at night. Need help getting started? Don’t worry, it’s really simple. 1. The first thing to do if find a quiet place to sit, preferably with your back against the wall. 2. Keeping your lips sealed breath in slowly, and deeply, through your nose. 3. Once you’re at maximum lung capacity, keeping your lips sealed, slowly exhale from your nose while tightening the muscles at the back of your throat. This is a very powerful form of sleep meditation. Ancient Yogis said that in our body there are two energies, called Ida and Pingala. Ida indicates moon energy, which is on the left. This energy is reflective, cooling, calming, and female. Pingala is on the right side that has the sun energy: fiery, awakening, bright, and male. In Western terminology, we compare these systems as the sympathetic and parasympathetic nervous systems. Ida is the parasympathetic system that slows you down and helps the body automatically run its day jobs of elimination, digestion, sleep cycles and more. Pingala, therefore, is the sympathetic system. Activate your Ida energy through breathing with this unique technique. Create a welcoming environment that you’ll be comfortable spending the next 15 minutes or so it takes to complete this breathing exercise. Make sure it’s somewhere that will be quiet and will allow you to fully relax before completing this Pranayama exercise. a) First of all, undertake a comfortable sleeping position, which is perfect for sound and healthy sleep. b) Now close your eyes. Inhale deeply. We call this first breath ‘Prana’ or ‘Life Breath’. 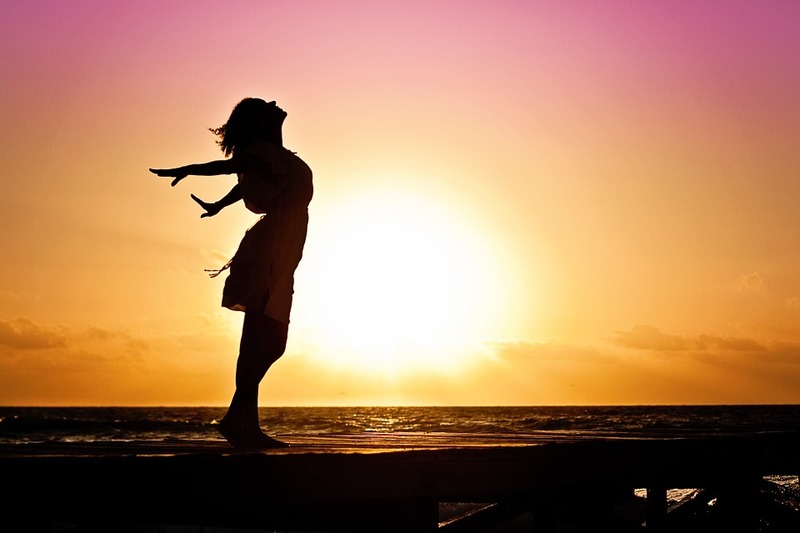 c) While inhaling, imagine that life energy is entering and rejuvenating your body. It purifies you. d) You are now completely calm and relaxed…. e) Breathe out slowly. While exhaling, imagine that all the toxins and harmful elements present are exiting your body. Try to submerge yourself in how relaxed you are. f) Now, take your second deep breath, which we call the Divine Breath. g) Breathe out slowly. Feel how deeply relaxed you are. Imagine that the infinite power of divine energy is soothing and eliminating all your wounds. It invigorates you. It makes you calm and relaxed. h) Now, take your third deep breath, which we call the Inner Self Breath. i) Breathe out slowly. Feel how relaxed you are. Imagine a profound inner wisdom making you calm and steady. It makes you energetic. It makes you calm, refreshed, and relaxed. j) Now block off the right nostril with your thumb and inhale deeply through the left nostril. k) Slow down the breath to 4 or less breaths per minute. l) Now count down from 10 to 1. With each descending number, you will feel more and more relaxed. 10 – Inhale deeply through your left nostril and imagine that your scalp, forehead, and eyes are getting relaxed. 9 – Take a deep long breath through the left nostril and feel your face, throat, and shoulders getting relaxed. 8 – Through your left nostril, inhale again and imagine that your arms and hands are getting completely relaxed. 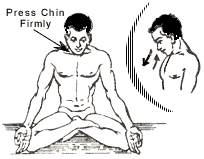 7 – Inhale deeply through your left nostril, and feel your chest and the organs within the chest area getting relaxed. 6 – Take a long, deep breath through the left nostril, and imagine that your abdomen and the organs within the abdominal cavity are getting relaxed. 5 – Through your left nostril, inhale deeply and feel your thighs getting relaxed. 4 – Take a deep breath through your left nostril, and feel your knees getting relaxed. 3 – Inhale deeply through your left nostril and feel your cuff muscles getting relaxed. 2 – Take a long, deep breath through your left nostril, and feel your ankles getting relaxed. 1 -Take a deep breath through your left nostril, and imagine that your feet are getting relaxed. Now you are ready to have sound, deep, refreshing, relaxing and healthy sleep. The first step focuses on allowing you to ease your mind and remove confusion by finding solutions to challenges you’ve faced throughout the day. You’ll visualize and resolved all tasks in your mind. After the first part of this sleep exercise, you should not give your mind another chance to work on impending deadlines or to-do lists that can have a negative impact on your quality of sleep. While most occurrences of sleep apnea happen during REM sleep, you (or your partner) may notice sleep apneas during any stage. One new NYU study suggests that sleep apnea can have a direct impact on memory loss when apneas are present in the REM stages of sleep. Sleep apnea is caused by the reduced muscle tone in the upper airways as your muscles relax and you slip into a deep sleep. Using this sleep meditation technique in combination with strengthening your throat muscles with other breathing exercises, you’ll be doing yourself a huge favor by limiting and possibly removing sleep apneas altogether. In the second stage of this meditation exercise for sleeping, you’ll be removing tension from your body so you can have a deep relaxing sleep all night long. This sleep meditation exercise for sleep apnea should be performed directly before bedtime to achieve best results. You should not allow your mind to have any time to become distracted again. Otherwise, you may need to complete the exercise again. It’s recommended to find a place free of potential distractions before beginning this sleep meditation breathing exercise. Opt for somewhere warm and inviting. You should feel at peace the moment you start your exercise. a) First of all, sit comfortably. Relax your body and keep your eyes open. b) Concentrate on your breathing. Now inhale slowly and deeply. f) Now slowly change your focus from your mind to your inner-self. g) When you are comfortable, reflect gently on what you have been focusing on today. In your imagination, you may want to visualize the events of the day. h) Now concentrate on three to five tasks that you usually do at home or at work. i) Write those tasks down on your diary or notebook. Allocated three to four lines for each task, describing them roughly. Now focus on the first task on your list. j) Place the task in your inner mind. Gently think about its condition. Is it already completed? Is there any confusion surrounding it? Is it challenging? Do you need any help? k) Now, think about the exact action you will need to take tomorrow for completing the first task. Observe each and every action inside your inner mind. Go through the action of signing off each proposed action inside your mind. And then write down the action next to the task listed. When you have finished writing down all of the actions, tell yourself and believe that you have completed that task. l) Continue through the rest of your list in that manner. Work through your list in that way so that you experience the real satisfaction you would get after completing the tasks for real. Observe those unfinished tasks with neutrality and perception. m) Tell yourself that you are not going to do any more mental work on any of these tasks tonight. Just say to your mind and to your consciousness that all tasks are resolved for the day. Do note that you can also list down some of the main mentally-exhausting issues you may be facing, instead of tasks. If you have such issues, use the above method for your issues instead of tasks, since issues that are on your mind will affect you in a more profound way. Now you are going to have sound, deep, relaxing and refreshing sleep. Tomorrow you will be able to handle all tasks excellently. Just follow the following steps. a) Lie down on your back and place both hands on your thighs or at your sides. Visualize all the organs in your body and try to find the areas of tension in your body. If you don’t feel comfortable, you can change position any time you need. b) Try to focus on the sensations you are experiencing in your body. Focus on the particular organs where you feel tension. c) Now concentrate on your feet. Just feel where the tension is. Try to focus right down to the cellular level. Release all the tension from the cores of the cells. d) Concentrate on your cuffs. Visualize where the tension areas are. Get right down to the cellular level. From the cores of the cells, release all the tension. e) Focus on your knees. Visualize where the tension areas are. Get right down to the cellular level. From the cores of the cells, release all the tension. f) Focus on both your thighs. Visualize where the tension areas are. Get right down to the cellular level. From the cores of the cells, release all the tension. g) Now concentrate on your waist and pelvic region. Visualize where the tension areas are. Get right down to the cellular level. From the cores of the cells, release all the tension. h) Focus on the back and spine. Visualize where the tension areas are. Get right down to the cellular level. From the cores of the cells, release all the tension. i) Concentrate on your abdomen and within the abdomen. Visualize where the tension areas are. Get right down to the cellular level. From the cores of the cells, release all the tension. j) Focus on the chest area and within the chest area. Visualize where the tension areas are. Get right down to the cellular level. From the cores of the cells, release all the tension. k) Now concentrate on your arms and hands. Visualize where the tension areas are. Get right down to the cellular level. From the cores of the cells, release all the tension. l) Now start counting from 10. 9… deeply and completely relax…. 8… go deeper and deeper…..
7… you are deeply relaxed…and calm…. 6… go deeper and deeper and deeper. 3… so very pleasant and heavy…. 1… you are completely relaxed…. If it makes this practice easier, record yourself or a loved one reading the above instructions in a gentle voice. At night, just play the recording and focus on the instructions. This meditation was specially designed to help you take a power nap. A power nap is a short nap which is interrupted before the occurrence of deep sleep or slow-wave sleep (SWS). If you do not get proper sleep at night, you can take a power nap as a supplement to normal sleep. A power nap can help you become energetic and refreshed, as well as restore wakefulness and promote performance and learning. A power nap should only last for about 15 to 30 minutes. 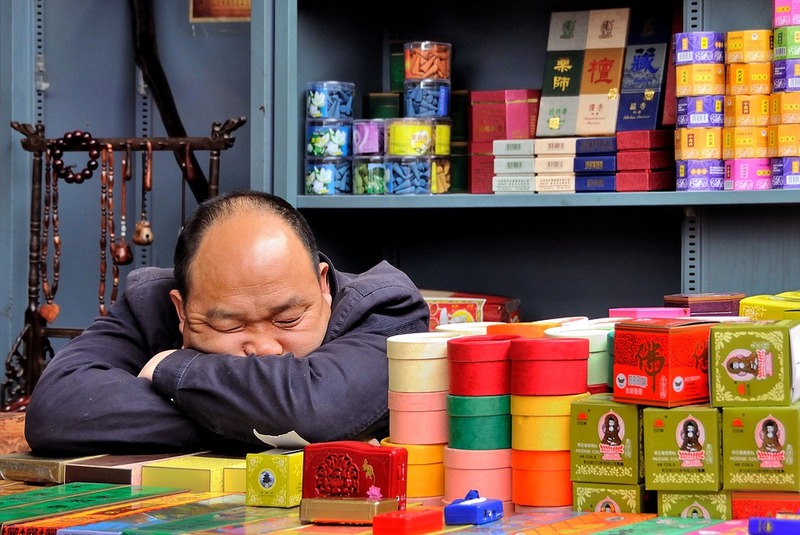 To become more alert and productive, you should ensure that you take your power nap correctly. When you are ready to take a power nap, set an alarm to go off in 15 minutes because if you sleep more than 30 minutes, you can experience sleep inertia, causing you to feel even more sluggish and tired. This, of course, is the exactly the opposite of the result you are looking for. However, if you think that without setting an alarm you can take a power nap properly, then you can use the mental clock technique below to wake up at the right time. a) First, get yourself in a comfortable sleeping position. Close your eyes and inhale deeply. b) Start the countdown exercise. Count backwards from 10 to 1. With each descending number, you will feel more relaxed and calm. c) Now in your mental mirror, visualize a large clock. See what time it is now. d) Now by using your right hand, move the mental clock’s hand to the place it should be when you want to wake up. Say to yourself mentally, “I will wake up at the time I have set”. 9 – Go deeper and deeper…. 1 -You are now completely ready to have a peaceful and relaxing sleep. Sleep well. This progressive muscle relaxation meditation is especially designed for releasing tension from parts of the body that are often tensed after everyday activities. This exercise can help break the cycle of stress-related sleep apnea. People with sleep apnea can benefit from this meditative exercise in other ways too. Better sleep has a direct correlation with being overweight, anxiety, and cardiovascular issues, such as high blood pressure. These exercises can prepare you for a full nights sleep so you can wake up well rested and refreshed. This yoga sleep meditation exercise should be done directly before bedtime. Once completed, don’t allow your mind to wander into negative thoughts. A good way to prevent this is avoiding television or other distractions. Follow the steps below, and when imagining the areas mentioned, be sure to feel the vibration of the particular area and relax it consciously. a) Get yourself in a comfortable sleeping position. Keep your eyes closed and inhale deeply. b) Now focus on your feet, cuffs, knees and thighs. Stretch and tighten until you feel tension in these parts of the body. Feel the vibration as if you are squeezing a wet cloth. Now you will release the tension. Relax the lower parts of your body. Place your feet, cuffs, knees and thighs on the ground more comfortably. c) Now focus on your arms and hands. Tighten only until you feel tension, as if you are squeezing a wet towel. Feel the tension and vibration. Now release all the tension. Loosen your arms and hands and relax them completely. Drop your arms and hands to a lower spot on the ground comfortably. d) Now focus on your shoulders. Tighten only until you feel tension in your shoulders. Try to feel the tension. Release all the tension from this part of the body. Imagine that your shoulders are getting relaxed. Let your shoulders drop to a lower, more comfortable position on the ground. e) Concentrate on your jaw. Close your mouth tightly. Now clamp your jaw shut, very tightly. Your lips should also feel tight and tense across the front of your teeth. Feel the tension and vibration. Now release all the tension. Feel that your jaw is completely relaxed. f) Concentrate on your forehead. Raise your eyebrows. Tighten your forehead muscles. Feel the vibration in your forehead, eyes, and the areas surrounding the eyes. Now release all the tension. Relax your forehead and eyes completely. g) Calm your mind by using countdown deepening exercises. Count backwards from 50 to 1. With each descending number, feel the relaxation immerse you more and more both physically and mentally. 50 – You are feeling sleepy now…. Once you’ve exhausted the basic Pranayama techniques, and are ready to move onto more advanced alternatives, you may want to think about adding some of these into your routine. Pranayama for sleep apnea can be a very powerful tool to combat symptoms. Breathing exercises give your throat and tongue muscles a tone so that once you get to sleep you’ll experience less severe apneas and fewer occurrences. Yoga for sleep apnea helps in other ways as well. It can help you maintain a healthy weight loss regime, lower blood pressure, and keep diabetes at bay. You’ll also learn how to properly relax your body so you can wake up well rested and ready to start the day. Ultimately, it’s up to you to decide if Pranayama exercises are right for you. But we hope with the help of this guide, you’ll think about giving it a go. After all, there’s not much to lose, except your sleep apnea. Your body (and your partner) will thank you in the morning for a great nights rest! The material presented in this guide is not meant to replace medical advice. This is simply a discussion of information and particular methods that have been used by others. Because of the potentially serious, long-term health issues related to sleep apnea, it is recommended that any treatment be discussed with your own physician. If an alternative method of treatment is perceived to be successful, it is also recommended that you undergo testing through traditional medical sources to verify your results.